1. What are your reasons for transferring? 2. What objectives (goals) do you hope to achieve? We agreed that the first part would take up most of the essay, about three-quarters. Unlike the regular Common App prompt for incoming freshman, this prompt was less open-ended, and wasn’t looking for a classic “personal statement” essay. It’s a direct question: Why do you want to change schools and attend a new school? Not a: “Who are you?” question. The transfer essay should try to answer the questions as directly as possible, and back up the main points with specific examples. Still, I believe students should use this essay as an opportunity to reveal their personality and individuality as much as possible. Students don’t need to use a narrative style, but I believe a story-telling format makes the best essays. In a way, you are telling the “story” of your educational journey, and explaining a shift in your path. You describe where you started and why, how it went so far (current school) and what you learned there, what changed and why, what you intend to study (your major) at your next school, and what what you hope to accomplish there and in the future with that degree. Unlike most incoming freshman, transfer students need to have a clear idea of what they want to study. Most are required to select a major at this juncture. That in itself gives these essays a strong focus. I thought it would be a good idea to start the session with my son by fleshing out some of his core or defining qualities that he thinks would make him effective in his chosen major: chemical engineering. Even if he didn’t include any of these ideas in his transfer essay, I believe it’s helpful for students to have a sense of who they are and articulate those before starting to write. I wrote down some of his statements, which he could refer back to later when he started writing. With the “why transfer” question, you need to talk about what inspired your interest in your field, and how that evolved and developed over the years, and what eventually led you to seeking a new school. So I asked my son to think about some specific touch points in his life that sparked his interest in sciences, and specifically chemistry and engineering. You don’t need to include all of these, but it helps to compile a short list. If your essay traces this progression, it will have a natural order that makes it simple to write: chronologically! My son remembered different experiments he did with various teachers over the years in both high school and college. I also thought it was important to highlight the positive experiences he had at his current school, and then use those as a springboard to explain why he wanted more of those at his future school. Or maybe he wanted something different. The last thing you want to do is diss your current school. Keep it upbeat. List about 3-5 features of your current school. Then list a similar number of features that the new school will have. Coming up with the positive parts of his current school was easy. The second part took a little more work: What objectives do you hope to achieve? Because your one main Common App essay will go to all your schools, you need to keep the answer general enough so it works for all the schools. So you should answer what objectives you hope to achieve at your next college or university, whichever it happens to be. I would start by talking about the major you want to pursue there, and how you plan to join and support their academic and social community. It is very difficult to avoid broad, generic answers here, but do your best to be specific about what you want to do there related to your major and goal, how you will participate in various activities and opportunities there, and how you envision using your degree after graduation and in the workplace. To start my son’s main transfer essay, we fished around for an anecdote (mini-story or real-life example). His main theme turned out to be how he was the type of student who loved to learn new concepts, but was also eager to find “innovative” ways to use them. This is just one way to approach this transfer essay. It might not work for everyone. My son was unique in that he knew he would transfer when he started at his current school (where he did what is called a 3/2 program). But I think the approach of explaining the inspiration for your path–whether it’s art or business or biology-could work the same way. Even if you are making a radical shift, just explain why and go from there. As in all these essays, the admissions officers mainly want to hear how you think, what you value and that you have a plan. 1. Introduction: An anecdote (mini-story/real-life example) showing what inspired your interest in your subject–what fired it up, or if it changed, what caused that shift. 2. Background: Take the reader back to some of your earlier experiences with your subject. Use specific examples. 3. Talk about your current school and what you got out of it. Give specific examples: focus on academics, but you could also mention other interests, social skills, etc. 4. Transition into the main reason you are ready to move on and into the new school. Maybe you liked certain things at your old school, but it had limitations and you wanted more. Maybe you changed, your interests changed, and the new school can serve those better than the first one. Back up your points with specific examples. 5. Objectives: Talk about what you want in your new school, or what you expect it will have to help you succeed. Focus your “objectives” around your intended major or field of study. Discuss what you hope to do both at the new school and after. It never hurts to end with a sentence or two that projects your goals into the future. What do you believe a degree in your major will allow you to do to follow your largest dreams–not just for yourself, but for the world? Don’t miss my Help for College Transfer Students that has links to resources, advice and inspiration for transfer students and their transfer essays! Nice article! I will definitely refer to this as I write my essay. My son is transferring from a community college, where he will receive an AA. The “Why” seems fairly obvious: “So I can complete my BA” — duhh! How does one fill up 250 words in such a case? Thanks in advance! What about people who don’t have one certain school? What if someone is looking at two different schools how would the essay be structured differently? What if someone is deciding between two different schools? How would the essay regarding one specific school be structured differently? Thank you so much for helping and sharing this information. Applying to schools can be such a stressful time and the fact you shared a great outline was incredibly helpful. You are a life saver, thank you for writing this. jesus christ! THANK YOU! This just helped me and gave me the confidence to write a killer essay as im in the process of transffering schools. Im so glad i found this. I was headed in the wrong direction with my essay until i came across this article. Thank You So Much! so we should not mention the specific name of the university we are transferring to in the second part of the essay ? Is this essay supposed not to be school-specific? 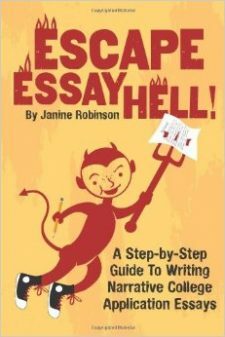 I knew students who transfered rewrite this essay in Common Writing a couple times to make it school-specific. Would this work? Applying to Cornell University and Northwestern University, and this just saved my life. Thank you so very much. I am applying to only one school on the common app. I was thinking of making my essay school specific for this reason. This article helped a lot thank you so much!